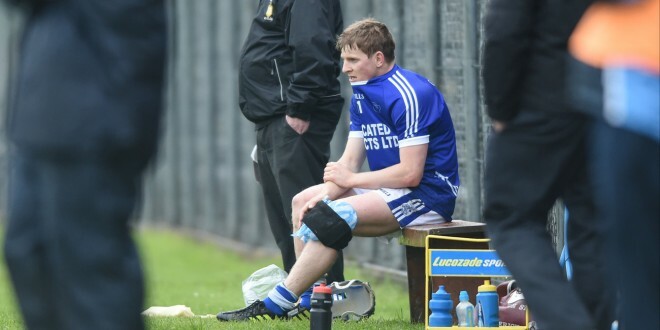 An injured Podge Collins of Cratloe sits at the dug out nursing an injury during their match against Ballyea in Ennis. Photograph by John Kelly. Clare senior football manager Colm Collins received a double whammy at the weekend with news that both Podge Collins and Martin O’Leary will be injury absentees for the county’s Munster senior football semi-final clash with Cork the weekend after next. 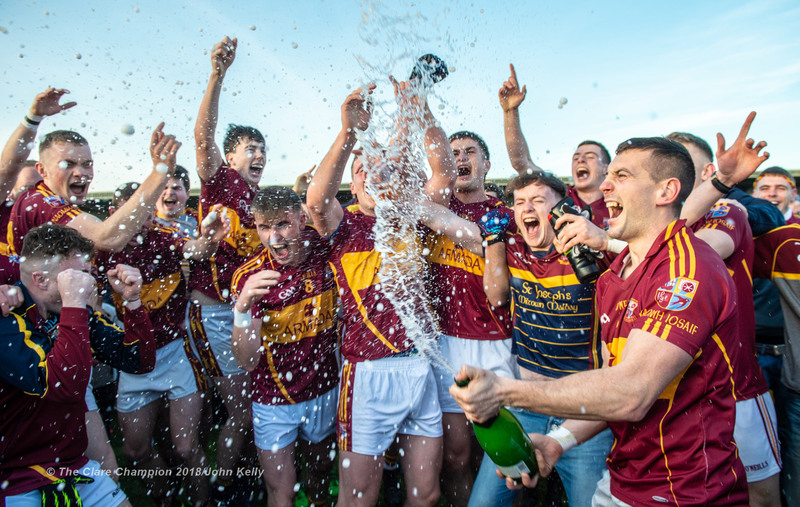 Podge Collins was forced to retire 15 minutes into Cratloe’s opening game defence of the Canon Hamilton Cup against Ballyea on Saturday evening. He sustained a cruciate knee ligament injury and had his worse fears confirmed as regards the seriousness of the injury following a scan in Dublin on Sunday. The 23 year-old talisman had decided to throw in his lot with the Clare footballers this year who are managed by his father Colm. The news is that he may be out for the rest of the season as he faces reconstructive surgery followed by a prolonged period of rehabilitation. Given that scenario it’s unlikely that he will return to competitive action again this year. 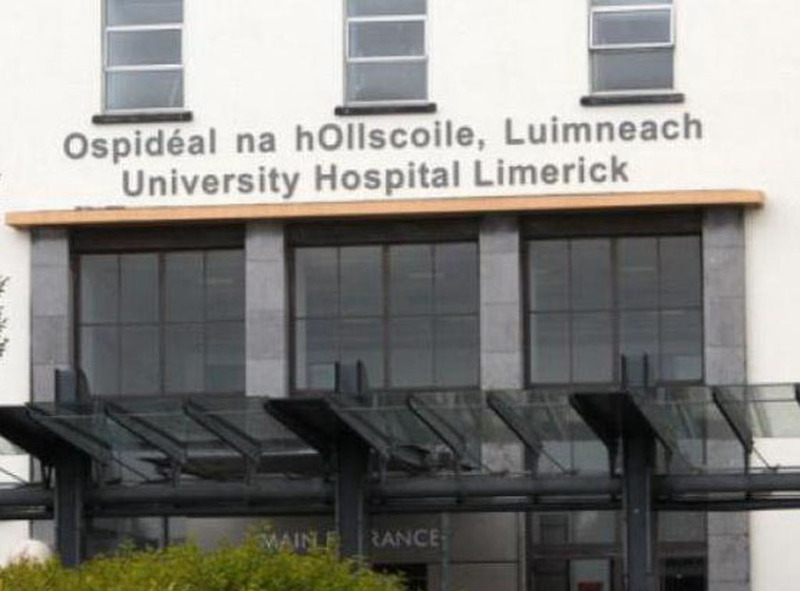 In fact, Podge Collins had been on the treatment table since Clare’s opening round victory over Limerick for an ankle injury and had been receiving treatment from sports physiotherapy specialist Gerard Hartman. Kilmihil footballer Martin O’Leary, who hurls with Ballyea, was injured in the same match. It is understood that he will be sidelined for a number of weeks following a collar bone injury. Meanwhile, there was better news for the football management as regards the availability of defender Dean Ryan as the Éire Óg clubman is expected to be fit for the game with Cork. Ryan, who is recovering from a knee injury, didn’t line out with the club hurlers in their defeat to Sixmilebridge at the weekend.